Every spring the gardener at my office will plant flower bulbs around the base of trees that line up in front of the office. 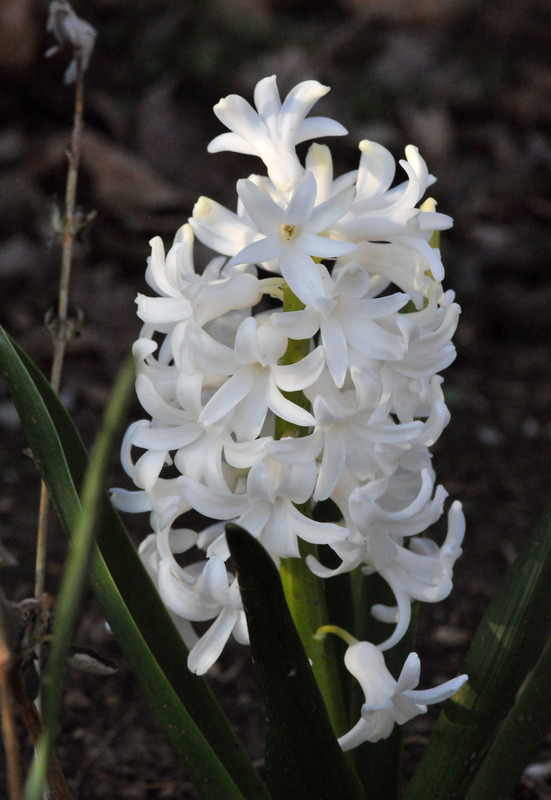 The bulbs vary from year to year, from tulips to daffodils to hyacinths. They look lovely in those little patches on the sidewalk. After a month passes, the flowers fade, the leaves start to turn yellow and the gardener removes them replacing them with something else. I thought they would be stored or kept in containers for planting next spring. One day I saw him putting the bulbs in a garbage bag so I asked. The answer; they would be dumped in the garbage. That was sad to hear. I see no point in not asking whether I can have them since they will become part of a landfill somewhere anyway, wasted for no good reason. He was happy to give them to me, and from then on, he’s been holding them for me. From one gardener (a pro) to another (an amateur). I shared them with my colleagues and neighbor. My neighbor especially, just couldn’t wrap her head around the idea of wasting perfectly good bulbs. Yes, we know they are commercially grown for garden design purposes to produce exceptionally large, colorful flowers. Their life, however, is short at one spring season. They end up as city garbage after they no longer produce pretty flowers. 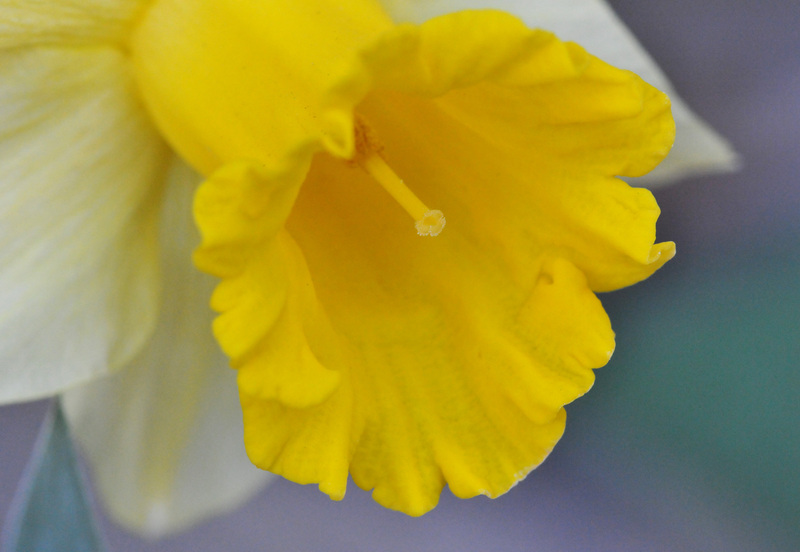 This Daffodil blooms every year now. 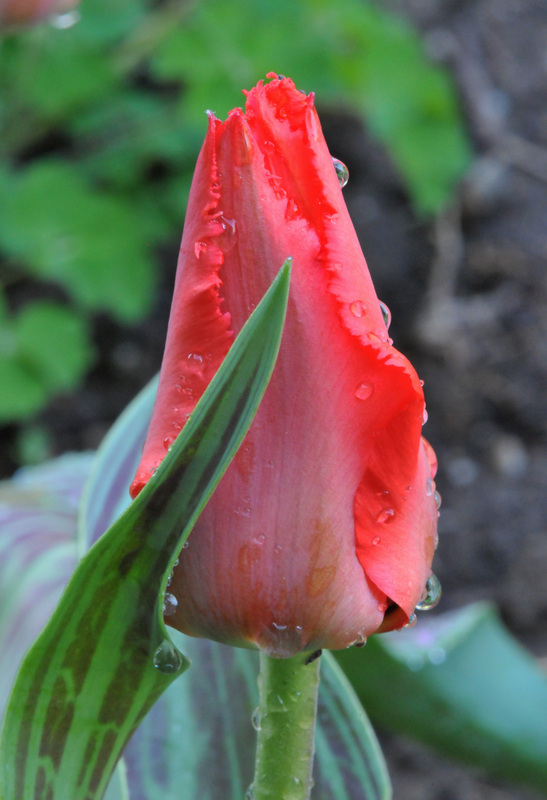 I dragged bags of bulbs home for the last few years and planted, what’s left over after sharing, in our garden. I found that planting them this way, flopping leaves and all, the squirrels won’t dig them up. If I don’t have time, I let them dry out, cut the leaves off and store the bulbs for planting next spring. I have free, healthy plants. The bulbs appreciate being rescued from a city landfill and adopted into an organic garden. They show their joy at being alive year after year, reproducing a new generation every spring for us to enjoy. Their gratitude clearly expressed both in colors and fragrance. 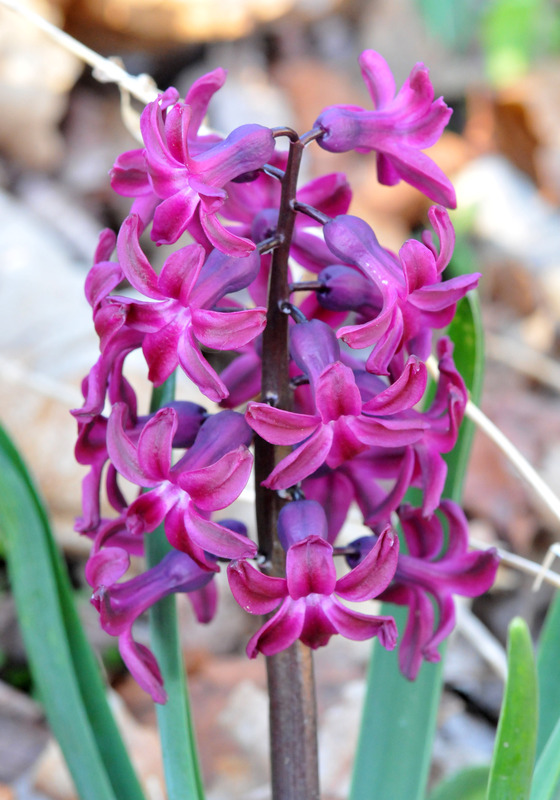 This hyacinth was the lone survivor in this color. 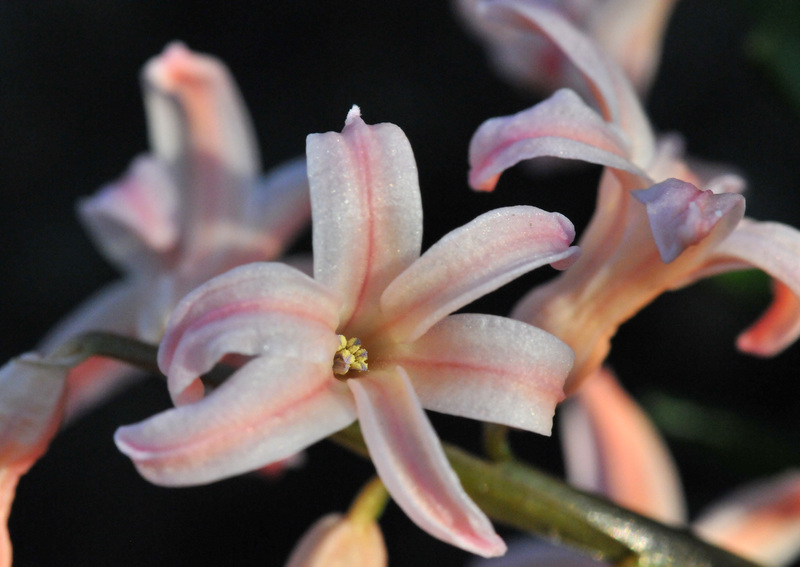 This Salmon colored hyacinth has spawned a lot of siblings.